Floaters in the eye or better known as eye floaters are small particles or debris that are formed inside your eyes and they are a natural phenonmena as we age. If you are seeing something that looks semi-transparent that is floating around in front of your eyes, those are the floaters in the eye. 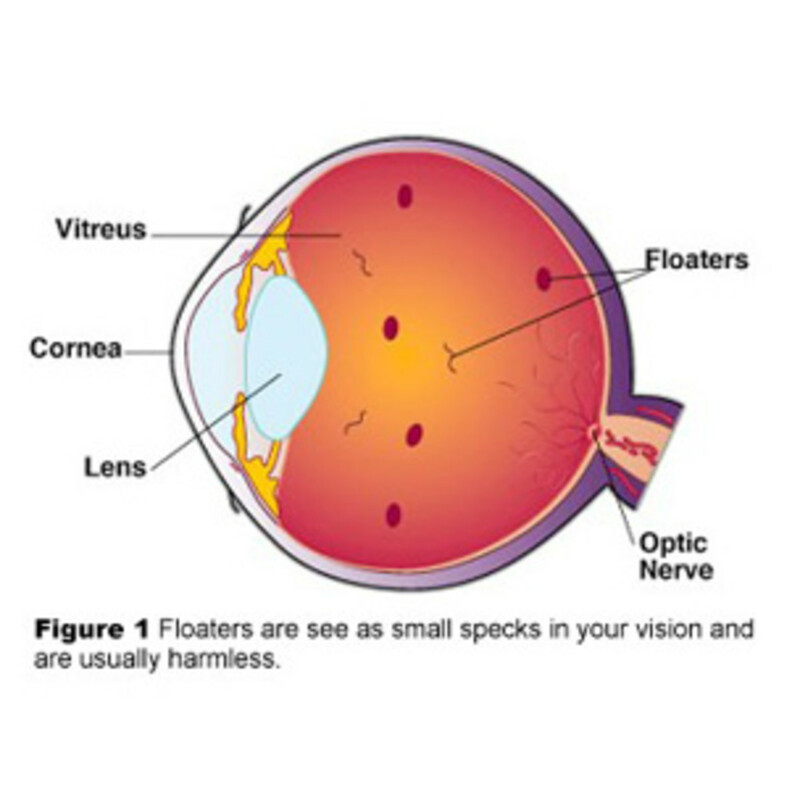 Floaters in the eye can be of many different shapes and sizes ranging from string-like to round and dark-specks. Some are transparents while some could be brownish, grey or even black. Studies have found that these floaters tend to occur naturally as we age. 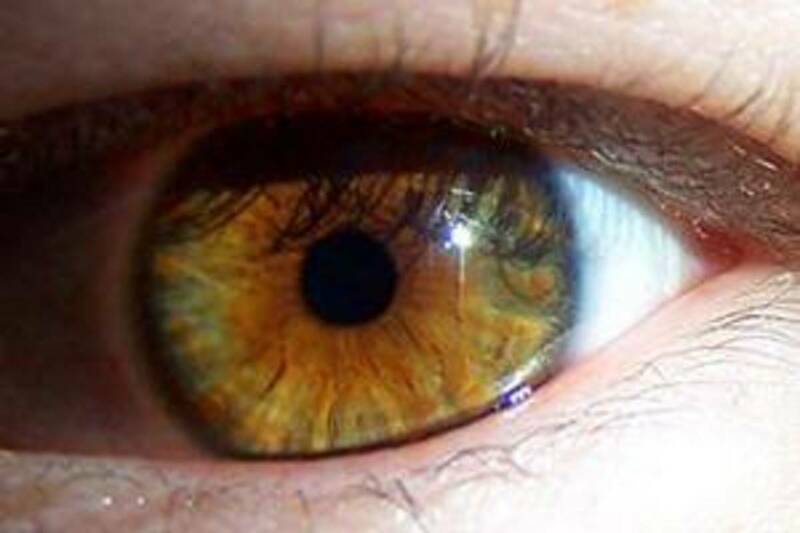 It is part of the aging process and the older we become, the more likely we will see them appearing as the vitreous gel-like substance that holds our eyeballs in position becomes more and more liquefied with age. Sometimes these gels clumps together forming various shapes that we see as eye floaters. They are just shadows casted on our retina that cause us to be able to see them. Other causes of floaters in the eye are the left-overs of strands of proteins that were stuck in the vitreous gels when our eye develops during infancy and then floats around when these gels started to liquidfy. While there are also some other studies that have found that these floaters usually develop in people with near-sightedness (or myopia) of 3 diopters or more. Are Floaters In The Eye Harmful? Whatever the reasons, these floaters in the eye are generally harmless in nature but if you suddenly see a lot of them that are accompanied by flashes of lights, whether right in front or at the corner of your eyes, seek medical help and eye examinations immediately as that may be signs of retinal tears. If left untreated, retinal tears could ultimately lead to blindness. 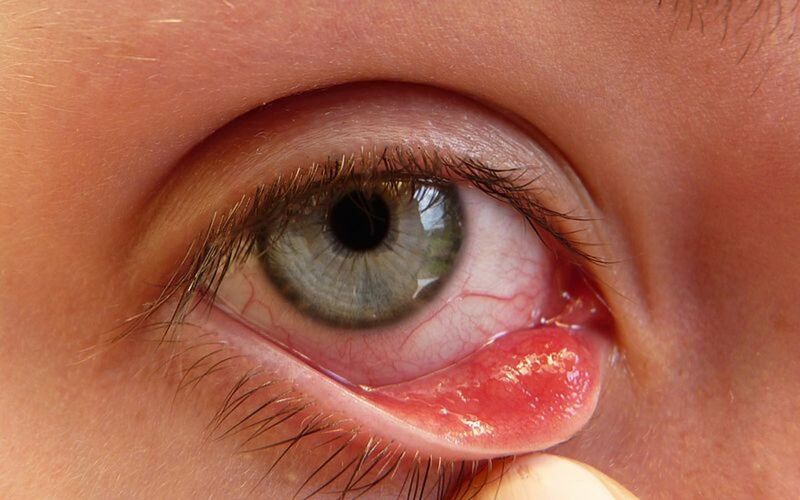 Generally, it is also believed that string-like debris floating around the eyes are part of the collagen that used to hold the liquid in the vitreous gel and becomes broken while the darker round-shaped eye floaters are result of tissues of the tear of the retina wall. Although floaters in the eye may be annoying, particularly when you are reading or driving and especially when you are outdoors, there are no proper cure available as to date. Basically one has to learn to live with it for the rest of their lives. These floaters are most visible under bright conditions with light-colored background such as when viewing over the clear blue sky or looking at a huge white painted walls. They float around your eye balls and once you attempt to look directly at them, they tend to swirl away. 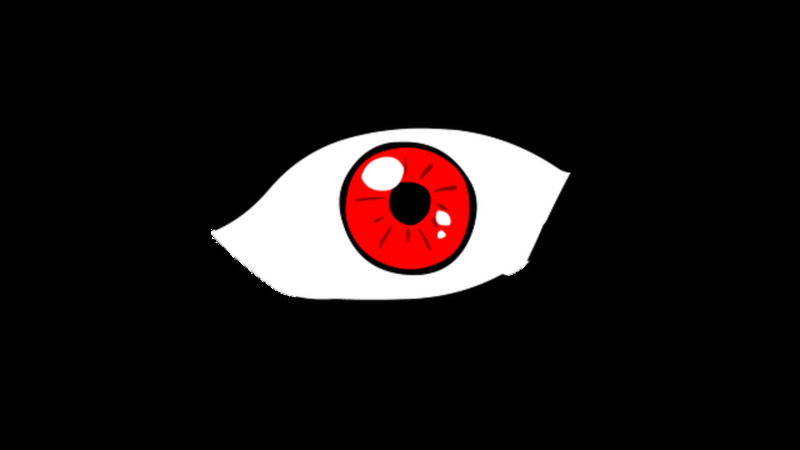 They follow the movements of your eyes and gradually sink to the bottom of your eyeball out of sight when you stop moving your eyes. But how do you get rid of eye floaters? As there are no proper cure available for eye floaters as to date, some sufferers have indicated that their floaters in the eye condition improves by itself over time. They either fade out completely or become more transparent or break into smaller pieces which are less noticeable. These may sometimes take up to a course of several months to well over several years. Some sufferers on the other hand see no improvement at all while some others see a worsening condition. What Eye Floaters Treatment Are Available? Currently the only available cures are vitrectomy and eye floater laser. Both these process are generally not recommended by doctors as they are viewed as high risks unless the problem is really severe and a procedure is really necessary. 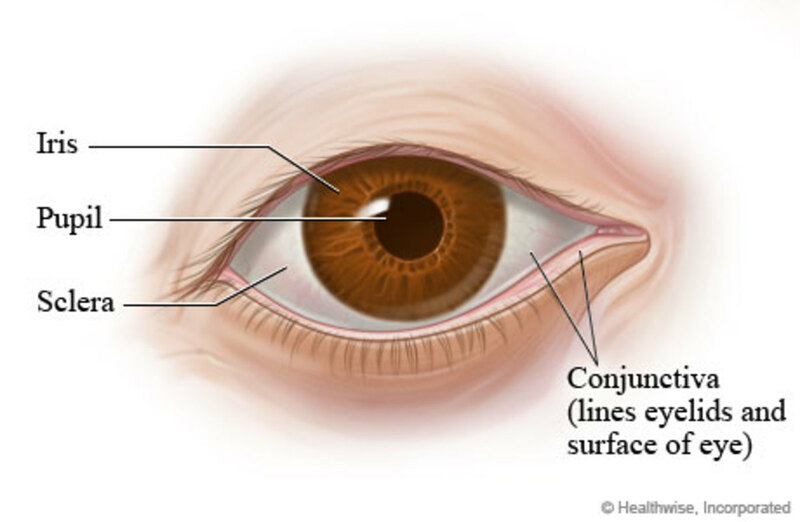 Vitrectomy is a process where the doctor will poke 2 or 3 tiny needles into the eyeball to drain off all the vitreous gel together with floaters in the eye, and all other substances and then replacing them with a kind of salt solution. The patient will not notice any difference between the gel and salt solution. Eye floater laser on the other hand is a process where doctors point a power laser known as Yttrium aluminium garnet or YAG laser into your eye and then blast the floaters in the eye one by one. Although laser process is viewed as less risky compared to vitrectomy, they still pose some risk to the patients particularly if the floaters in the eye lie close to the retina wall. In addition, as to date, there are only a handful number of doctors who are able to perform this treatment. Floaters in the eye is a result of shadows cast on the retina. These are usually harmless. Despite these floaters in the eye are very annoying, medical researchers are generally reluctant to make further research into this subject because of their harmless nature. Until the time when a proper cure is really developed whether through oral intake or eye drops that are able to dissolve these floaters in the eye, sufferers will have to live on their lives with these annoying stuffs before their eyes. What Are Floaters In The Eye? What Are They? When did you see your floaters in the eye? No, I don't see them at all. I only see them under bright conditions. I see them all the time even in poorly lit areas. Vitreolent eye drops can be a possible cure for the long prevailing problem of eye floaters as the iodide ingredient it contains has eye clearing potential. I have PVD, am long-sighted, and it doesn't run in our family. I don't know about 'floaters' but when I read (which used to be a joy) parts of the print are light. This is a shock to my system, and my mother, at 90, still reads perfectly well. When I drive with my prescription glasses, the clarity I once had isn't there on a very slight basis. Walking around without glasses seems fine, but it's the reading that concerns me. Bummer. I'm a man aged forty-five. I have the sensation of black floaters for the past seven years. Nowadays the floaters becomes numerous and larger in size. What should i do to keep my eyes healthy? i see the litte tiny black specs that sometimes i cant even notice ethem. i only see floaters outside and sometimes in really bright areas.. no flashes.. no increase of floaters just the same... will they go away? Hi, I'm Gareth, and i posted about my floaters 20 months ago, i carnt beleive how it's been two years. I have been all day with long stands in my eyes, it's ruined my life. But all the doctors say it's two risky for lasrer operation or victroctomy. I am posting this because my eyes have got a lot worse. the strands are bigger with more attached, and i theres lots of black dots in the centre. I hope a cure comes out in my life time. NHS need to find a cure fast!!!! don't know how long i can take. Thanks for highlighting the mistakes. The inaccuracy has been rectified. just began treatment today on the floater treatment with vitreolent eye drops by Novartis accompanied with prednisolone. i also noticed flashes in my eyes. began with the left eye then the right. my vision in the right eye, i noticed was clearer while the one in the left began to be blurred. A powerful laser gun? Who calls it a laser gun? I am one of the few doctors in the United States who specializes in the treatment of eye floaters using a YAG laser. It is a lower risk procedure than the surgical vitrectomy and can be quite effective in floaters associated with a posterior vitreous detachments-typically those over than age 45. it uses a relatively low matter energy that is concentrated into a spot about 8/1000 of a millimeter. It is so accurate, I can actually pick off individual fibers of a piece of paper or pick off the top layer of ink on the printed sheet. a laser gun? I don't think so. do a Google search for "eye floater treatment"
I'm trying my own tests to try get rid of them. Drink plenty of water. I woke upo with loads of large cobweb like floaters in my vision. waiting to see a specialist. i don't know what to do if its just floaters, as i cannot live with this its realy that bad!. What can i do???? I knew about floaters because my husband had them early - apparently if you're very short-sighted, that can happen. So when a fairly large one suddenly appeared in my left eye, I didn't worry. After all, I couldn't see any flashing lights or other nasty things. When I went to my optometrist for my next eye test, I mentioned the floater - and he told me off,soundly, for not coming in to have it checked. Apparently a large floater can be a sign of retinal detachment even without the flashing lights, so you should always see someone.